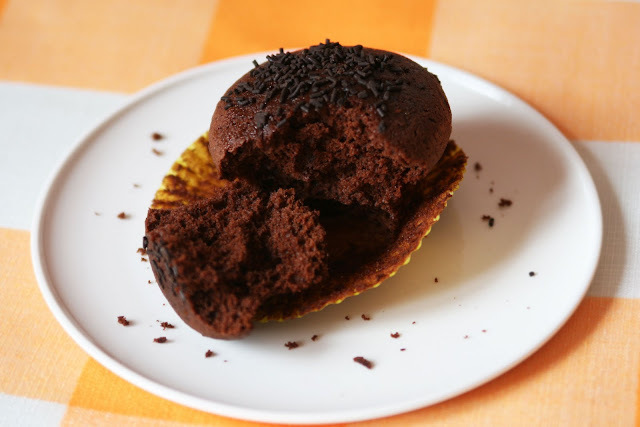 One of my favorite (and one of the easiest) chocolate muffins recipes, really easy to make and the touch of honey gives more intensity and sweetness to the chocolate flavoring. My niece asked me to bake muffins for her two weeks ago and she's a chocolate lover like me so it was the perfect excuse for us adults to indulge in fresh, homemade baked goods. I absolutely love to bake for others to enjoy but hey, I also like to enjoy some muffin and a cappuccino from time to time... ;-). Note: the recipe calls for 50g of chocolate drops but I highly suggest you to use around 75g and you'll get more rich and moist muffins. Beat butter, sugar and honey. Add in eggs and beat until soft and creamy. Mix flour, baking powder and cocoa in a separate bowl and sift it into the batter. Pour in enough milk to make the mixture gets soft yet not too liquid (200ml is the perfect quantity in my honest opinion). Gently stir in the chocolate drops and mix well, do not overbeat, that way chips will not sink to the bottom. 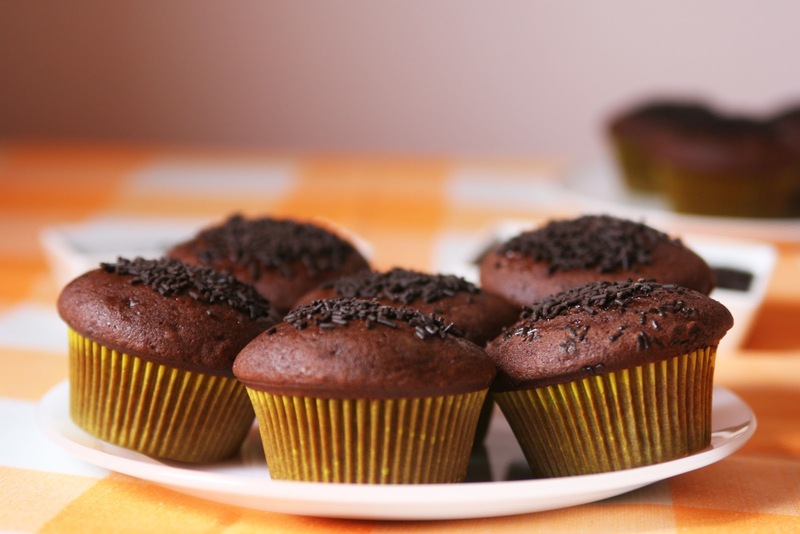 A god tip to make sure your chocolate drops will be evenly spread throughout your cake/muffin is to dust them with flour right before you are ready to add them into the mixture. 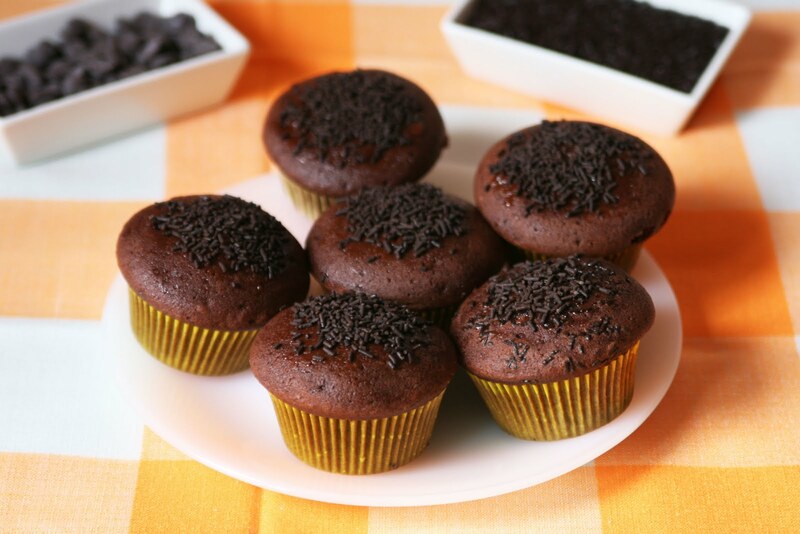 Pour the mixture into cupcake liners and bake for about 20-25 minutes. Take the cupcake pan out and let it set 5 minutes, finally remove them from pan and let cool completely on a wire rack. 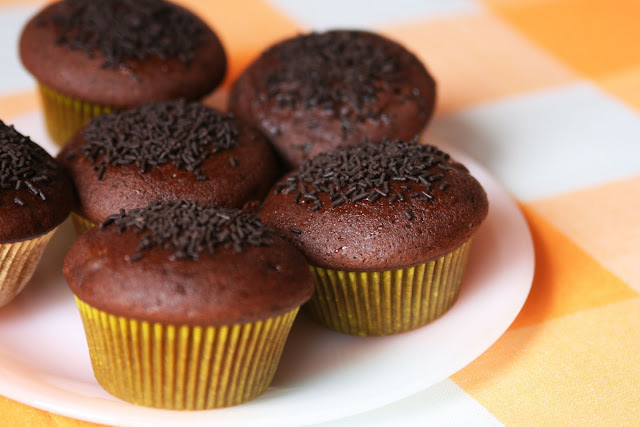 Decorate with some sprinkles by simply spreading a tiny bit of apricot jam over the top to avoid the chocolate sprinkles falling off the muffins. YUMM! 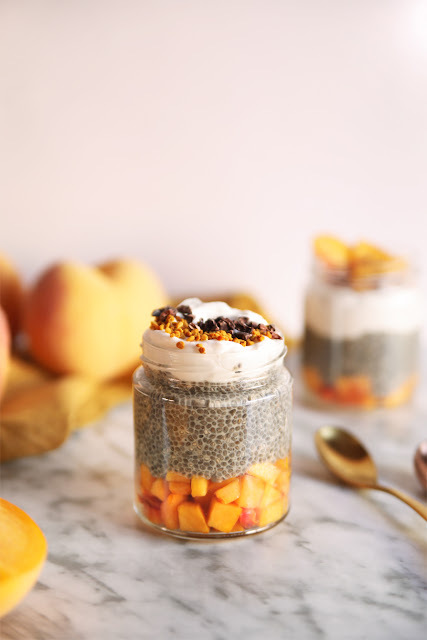 these look so delicious and totally easy to make! i'm definitely going to try this out for my next sunday brunch! The Procrastobaker: thanks bunches for your nice words! *blushes* I love photography and I also love baking so it's a perfect way to combine both of my passions. As I said, they're really easy to make yet very tasty! Jazzy: thanks a lot darling! Laura: jaja, dieta? Qué es eso?? :-p. Pues sí, estas vacaciones nos estamos portando bastante mal...no tenemos remedio! 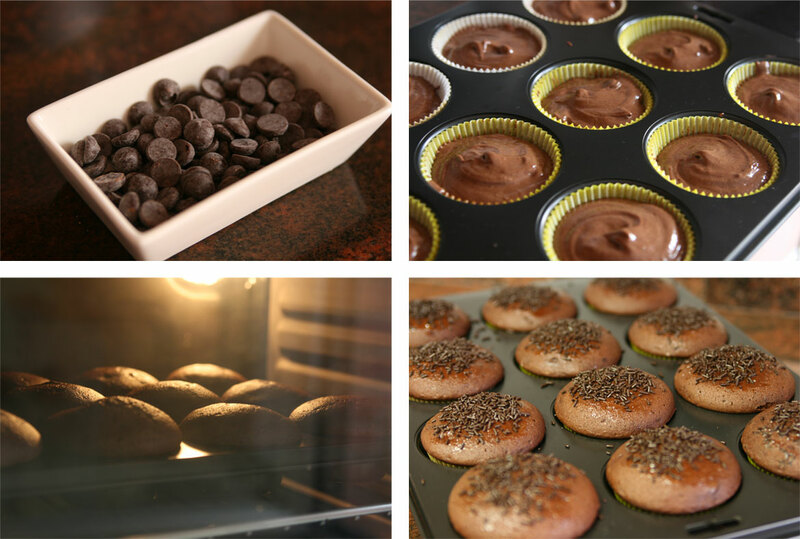 These muffins look soooo amazing! Lidiya: thanks a lot! Let me know if you try them some day! :-) I'm following your blog, it's so cool! Laura: wow! Muchísimas gracias! Qué bien, es mi primer award como bloggera! jeje, qué honor que tb hayas escogido a TDLYS entre tus galardonados! Un besazo!! !